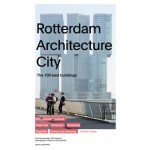 The compact and up-to-date architecture guide 'Rotterdam Architecture City. 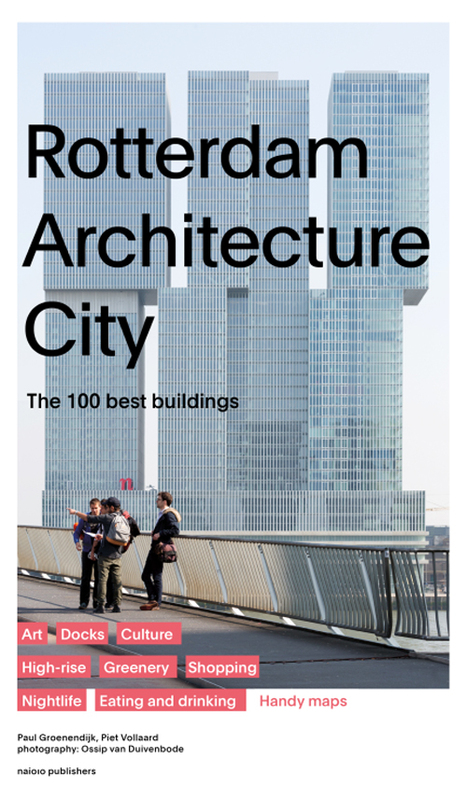 The 100 best buildings' presents the highlights of the Netherlands’ number one city of architecture: the latest high-profile buildings, illustrious icons, plus the city’s hidden jewels. 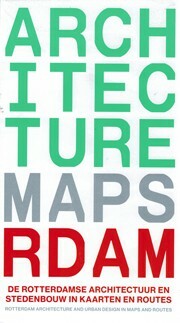 Rotterdam ranks among the top international architectural destinations. 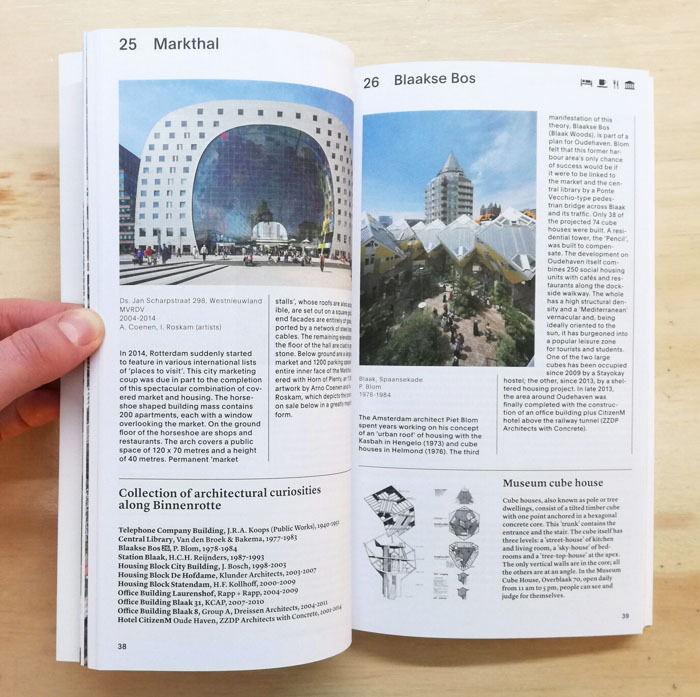 And with good reason: the Markthal, the new Central Station and De Rotterdam, along with such established icons as the Kunsthal and the Van Nelle Factory are just some of the architectural magnets drawing international architecture lovers to the city on the Maas. 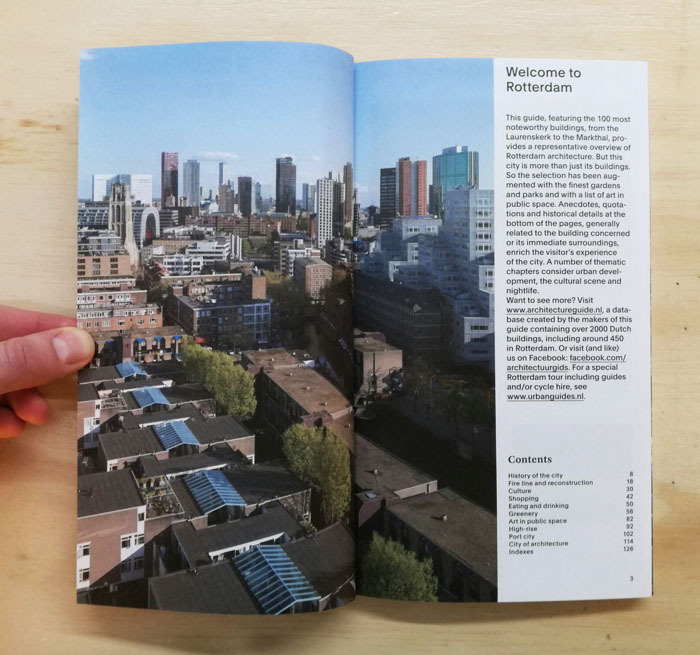 / also published in Dutch. 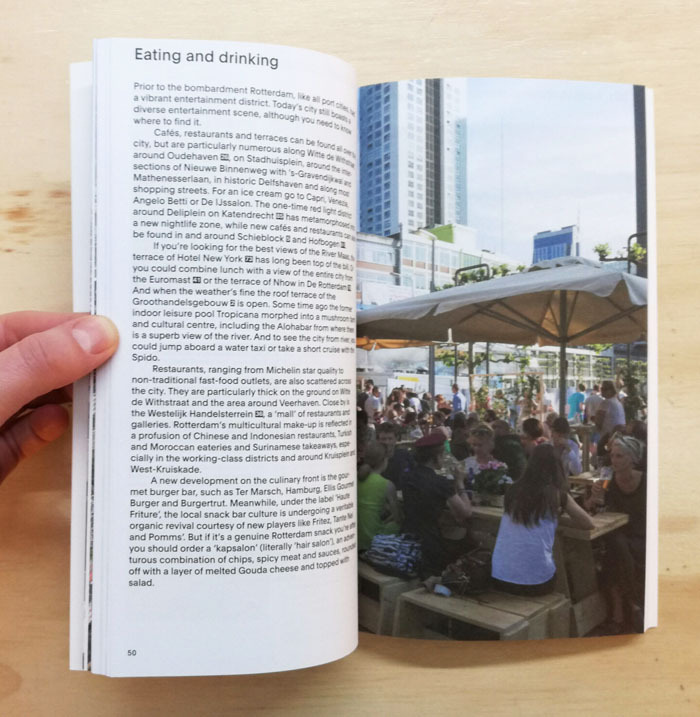 In addition to the 100 best buildings, this guide also directs visitors to the city’s most interesting locales, including entertainment and dining out in an architectural setting, the cultural haunt of Witte de Withstraat and the lieu de mémoire of the fire line.